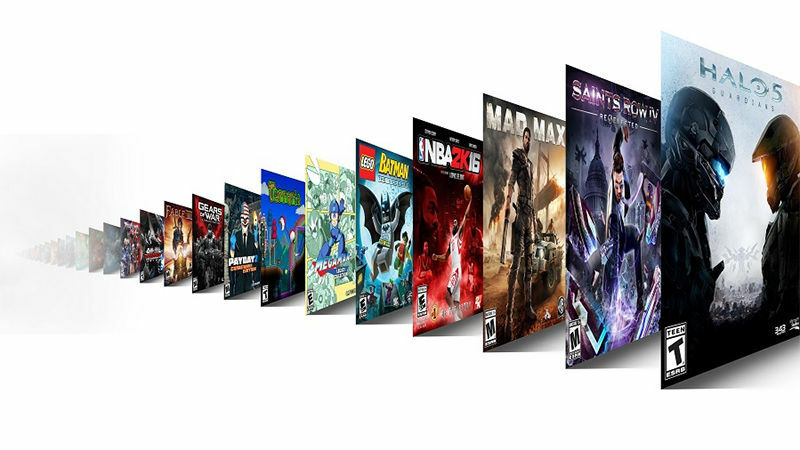 Microsoft announced its new monthly gaming subscription service today: Xbox Game Pass, a $9.99 per month service which grants consumers access to over 100 Xbox One and (via the Xbox One’s backward compatibility) Xbox 360 games. The service is expected to launch later this spring. With Xbox Game Pass, Xbox One owners will be able to download games offered via the service directly to their console and play the game throughout the month. Like other digital media subscription services, games will cycle in and out of the service’s catalog on a monthly basis. Microsoft is currently testing Xbox Game Pass through the Xbox Insider Program, using a “very limited number of titles.” Xbox Live Gold members will receive early access to Xbox Game Pass (no specific date yet on the project’s launch). Subscribers will also be offered a discount on games available via the service. Xbox Game Pass is another strong move on Microsoft’s end to appeal to its customers with more liberal services than its competitors. At last year’s E3, Microsoft announced its new program Xbox Play Anywhere, which offers Xbox One and Windows 10 users to purchase certain games for both platforms with one purchase. At E3 2015, the company launched the Xbox One’s backwards compatibility feature for a long list of Xbox 360 games, and that list has been expanding steadily ever since. Xbox Game Pass is expected to launch this spring, months before the launch of Microsoft’s next home console, Project Scorpio.